Nintendo released an app that costs ten dollars… No really, they actually asked their consumers to pay money (like, actual money), and they expected to get away with it. Nintendo really thinks they should make a profit off their games? That they should have the right to ask us for our hard earned ten dollars? For shame. No wonder so many people have absolutely erupted at Super Mario Run’s price, they can go buy a real game for six times that much! Obvious sarcasm aside, Super Mario Run’s ten dollar price is actually a lot to ask, considering it was released in a market overrun with games that cost either nothing or one dollar. But, I ask those who remain skeptical of spending their money on a disgusting, worthless phone game to consider the following points. Yeah, that’s right. It may be a phone game, but it’s also a good game. Super Mario Run surprised me. I went in expecting a puddle deep endless runner with boring mechanics and not much to do, but found a rich, endearing, and fun game with fresh ideas and actual changes to the Mario formula. The three modes (World Tour, Toad Rally, and Kingdom Builder) work cohesively. They create an ingenious system loop that keeps me playing two weeks later. The new parkour mechanic is extremely addicting to use and provides a new way to play Mario. Collecting the different variations of secret coins in all three levels is challenging yet rewarding; and this all equates to a game well worth a playthrough. A vast variety of levels and situations only add to its value. While I’m usually boundlessly critical of mobile games, Super Mario Run proved to be a totally solid platformer. Of course, nothing beats an actual controller, but this comes close. Anyone bashing this game’s price because it’s “just a mobile game” needs to have a more open mind. Oh yeah, everything I just mentioned is provided absolutely free of charge. The three levels, their different configurations, the Toad Rally Mode, and Kingdom Builder mode are available right when the game is downloaded. If you don’t feel like forking over the cash, you still have quite a lot of 100% free content to toy around with. No microtransactions, no expiring demo, no strings attached. That’s really enough said. 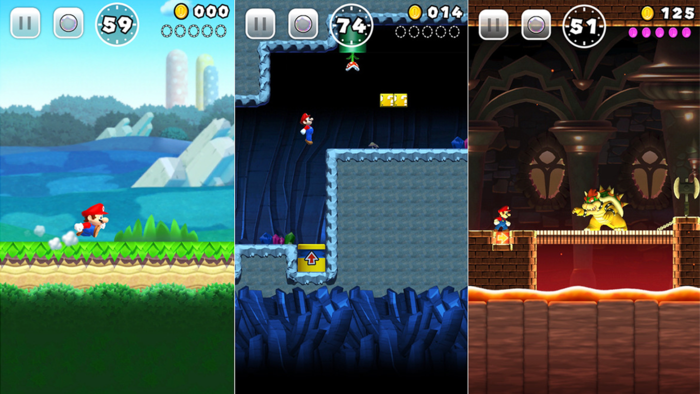 Let me show my work: New Super Mario Bros. U has a total of ninety-four levels, including secret exits. When buying Super Mario Run, you’re purchasing twenty-one levels. I’ll go ahead and round ninety-four up to one hundred and twenty-one down to twenty. 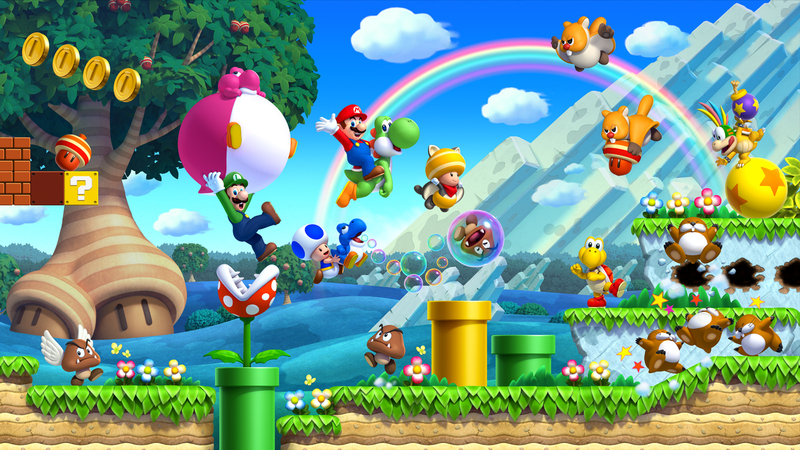 New Super Mario Bros. U was priced at fifty dollars when it first came out, Super Mario Run is ten. It doesn’t take an engineer to figure out that’s 1/5th of the content for 1/5th of the price. The game was fun and all, but it was seriously lacking originality. It can be argued that Super Mario Run is stripping the control away from the player, so it’s less valuable and therefore incomparable. Consider that all of these levels, twenty-four in total, have three different configurations, each more challenging than the last; and all of these levels are actually longer than your average Mario stage, so that point is invalid. What is valid is that these levels might actually be more valuable than NSMBU’s, not only for the aforementioned reasons, but because they’re also used in the Toad Rally mode, making them much more versatile. I’m tired of hearing people call Nintendo “crooks” or “swindlers” because they want to charge money for their game while apps like Clash of Clans get away with ridiculous game mechanics that forcefully encourage microtransactions. They see Nintendo as criminals because they’re asking for money, even though every other app does it constantly. The worst part is: Nintendo is charging ten dollars to avoid microtransactions. When you buy Super Mario Run, that’s it, the game is yours. The levels don’t time out and force you to either wait or pay. The in-game currency is easily obtainable and plentiful. All of the mechanics that seemingly encourage microtransactions are only there to keep you playing. The Toad Rally tickets provide a reason to play World Tour, the different characters used for World Tour provide a reason to play Kingdom Builder, and the Toads needed for Kingdom Builder provide a reason to play Toad Rally. This process continuously loops until the player is either satisfied or tired; not until they run out of money. Microtransactions mean you can keep making money forever and always… off the same player! Unfortunately, that’s not how the mobile market works. People don’t want to pay for apps because they usually don’t have to. That’s a culture that has been bred for years, and according to Nintendo’s stocks after the release of Super Mario Run, it won’t change anytime soon. Shareholders know that apps make money because of microtransactions. That the apps lack of price reels the consumer in, and the disjointed game mechanics make them pay. But Nintendo didn’t want to encourage that market. They wanted to release a game, have you buy it, and let that be the end of it. If you didn’t buy the game because you didn’t care for the mechanics, that’s fine. If you didn’t buy the game because it required constant internet connection, that’s completely understandable. But don’t say that it’s not worth it, even if you’re a huge Mario fan. Don’t say that Nintendo is swindling you out of your money. And if you complain about microtransactions but won’t buy Super Mario Run because it costs more than the average app, you’re part of the problem.